Queen’s University Mulicultural Policy Index - The Multiculturalism Policy Index is a scholarly research project that monitors the evolution of multiculturalism policies in 21 Western democracies. The project is designed to provide information about multiculturalism policies in a standardized format that aids comparative research and contributes to the understanding of state-minority relations. The project provides an index at three points in time – 1980, 2000, 2010 – and for three types of minorities: one index relating to immigrant groups, one relating to historic national minorities, and one relating to indigenous peoples. The Multiculturalism Policy Index and supporting documentation are freely available for researchers, public officials, journalists, students, activists, and others interested in the topic. c) The hermeneutic challenge posed by the cultural coexistence of parallel and sometimes conflicting normative systems. ARENA Centre for European Studies, is a multidisciplinary centre of basic research at the University of Oslo studying the evolving European political order. CRIDAQ – Centre of Interdisciplinary Research on Diversity in Quebec, based in Montréal, Quebec, Canada. Centre for Research on Ethnic Relations and Nationalism (CEREN), University of Helsinki, Finland. CNRS-CERI-Sciences Po, Centre d’études et recherches internationales, Paris, France. REMESO Institute for Research on Migration, Ethnicity and Society, FAS Center of Exellence, based at the University of Linköping, Sweden. REMESO pursues interdisciplinary research and education on transnational migration, ethnic diversity and citizenship in relation to changes in the labour market. EDGE – Center for Equality, Diversity, Gender, hosted by the department of Culture and Global Studies at Aalborg University, is an interdisciplinary research and information centre, whose purpose is to support and stimulate research within the area of equality, diversity and gender in the widest possible sense. Specialized knowledge within these fields are in great demand, and the centre, among other resources, hosts special knowledge on (gender) equality, inequality and social differences, diversity, diversity management, gender mainstreaming and related fields. FREIA – Feminist Research Center in Aalborg, is an interdisciplinary research center at the Institute for History, International and Social Studies, Aalborg University. IMES – Institute for Migration and Ethnic Studies, based within the Faculty of Social and Behavioural Sciences (FMG) of the Universiteit van Amsterdam. IMES has a broad aim to promote systematic, knowledgedriven research on international migration and integration. Part of its research has been from the beginning the analysis of ethno-national and religious diversity and its governance in liberal democracies in a comparative perspective. 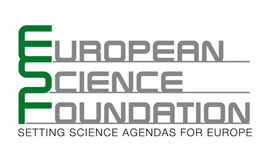 EIF – Institute for European Integration Research, is dedicated to research and teaching in the field of European integration. Methods and theories from various disciplines are combined to maximize insight. Central to our inter-disciplinary approach are political, legal, social, and historical perspectives. SFM – Swiss Forum for Migration and Ethnic Studies, University of Neuchâtel, Switzerland.